Yesterday, I get into my car to go to lunch in Balboa Park with Mary Kit and the radio is already tuned into the Dodger baseball radio station. Now I'm a long-suffering Padre fan since I moved down to San Diego in 1975, but for the last couple of days, I've been trying to savor my last moments of hearing the voice, the beautiful musical voice of Vin Scully. 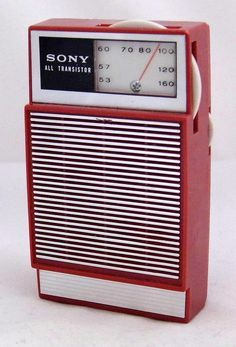 My memory is transported to 1965. I'm up in my bunk-bed with my brother Steve sleeping below me. 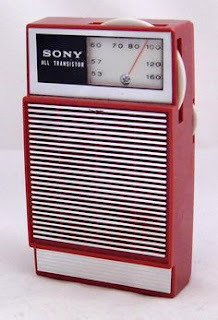 I have my hand-held Sony transistor radio (the most popular electronic communication device in history) in bed with me under the covers. I've got the single audio ear piece in my left ear, downside into the pillow facing the wall so my parents can't see the wire. 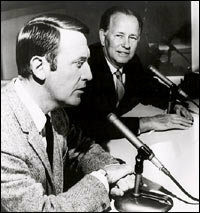 I'm listening to Dodger baseball with Vin calling the play-by-play. I remember Wally Moon's at the plate, Vin's describing the count and simultaneously telling a story about Wally. Crack of the bat, Wally hits a single between the 1st and 2nd base gap as Vinny visually takes you there, Wally rounds first and comes back to the bag. My dad opens the bedroom door to check in on us. I lay perfectly still. Maybe he knows exactly what is going but doesn't say a word and quietly shuts the door. Now, listen to Vin here at a more recent Giants vs Dodgers game. Don't watch the video, close your eyes and just listen to the master. This October 19th at T-Mobile Arena in Las Vegas, Mary Kit and I are going to see The Rolling Stones, (for the first time). Satisfaction, is the last encore on the set list. I think they did pretty well with that one.